Clarice Beth Carothers, a lifelong resident of Grand View, Idaho, passed away peacefully in the comfort of her own home, surrounded by her loved ones, at the age of 93, on March 26, 2019. Beth was born in Grandview Idaho on August 2, 1925 to loving parents Fred and Bernice Palmer. As the only girl born to the Palmers, her beauty most certainly was comparable to the wild spirit she shared with her 4 brothers. She attended school in Grand View and graduated in 1943. She attended the St. Luke’s nursing program until her marriage to high school sweetheart, James Carothers on April 21, 1945. They farmed in the area until they moved to Boise in 1954 where they worked together as owner-operator of several service stations. She enjoyed being active in church, the community, and as a Lioness in both Grand View and Boise. As a favorite pastime, they enjoyed bowling and won several individual and team awards. When asked what she loved the most about her life, she said “Being a wife and a mother,” roles she fulfilled perfectly. She had many lifelong friends and was adored by all who knew her. 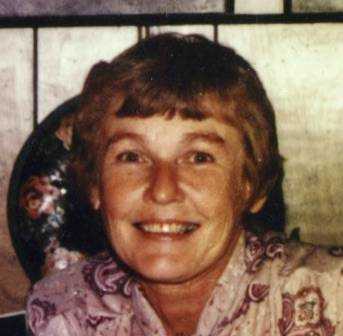 Beth is survived by her brother: Gordon Palmer of Scottsdale, Arizona; 5 Children: John Carothers of Grand View, Kelly Carothers of Richland, Washington, Patricia Carothers of Caldwell, Caroline Hezeltine of Nampa and James Carothers of Mountain Home, as well as 12 grandchildren and 18 great grandchildren. She was preceded in death by husband, Jim Carothers and her 3 brothers: Dean, LaVon, and Glen Palmer, and parents Fred and Bernice Palmer. Services were held on Monday April 1, 2019 at Knight Community Church in Grand View with burial followed at Riverside Cemetery. Arrangements were under the care of Rost Funeral Home, McMurtrey Chapel. Donations in Beth’s memory may be sent to Knight Community Church PO Box 146 Grandview Idaho 83624.